Looking for a printer deal? 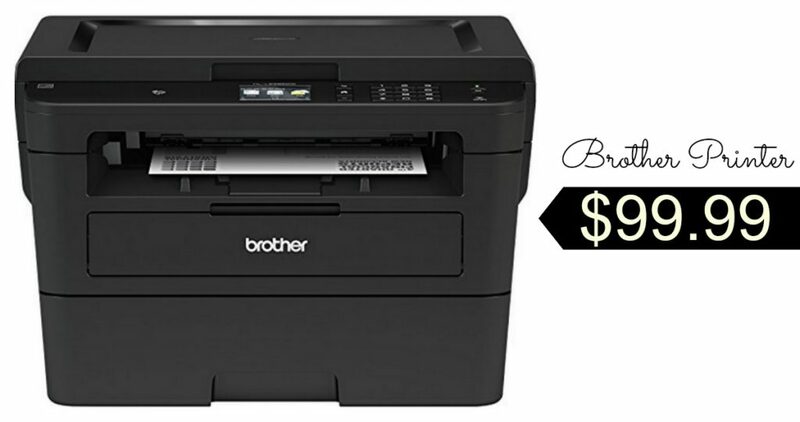 Amazon has the Brother Compact Monochrome Laser Printer, HLL2395DW, Flatbed Copy & Scan, Wireless Printer for $99.99. I am a big fan of Brother printers and always suggest them when people ask for a great coupon printer. Laser Printers use toner instead of ink and cost pennies compared to inkjets. When you need a replacement toner cartridge (which can be as low as $11), it will yield around 2,600 pages! Keep those coupons coming!! Note: if you have Office Depot/Max Rewards to use from grabbing all of the school supply deals, it is the same price there. You can use your rewards to get it for even less!